Tereza Zelenkova is a Czech-born artist known for her imaginative exploration of mysticism. She is inspired by literature and philosophy, but also values intuition and coincidence as essential guides in her creative process. Zelenkova’s work peels back the layers of myth that build up over time, interrogating the historical past of places and people, probing at folklore and imparting a modern sense of Surrealism onto familiar things, such as the grave of Georges Bataille, the Moravian cave of Byci Skala, or a statue by Michelangelo in the V&A’s cast courts. Zelenkova holds a BA in Photographic Arts from the University of Westminster and an MA in Photography from the Royal College of Art. She is the recipient of multiple awards, including the Jerwood Photoworks Award (2015), and was a finalist of the ING Unseen Talent Award (2016). Her work has been exhibited at numerous galleries and museums worldwide, including Whitechapel Gallery in London, Le Bal in Paris and Musée de l’Élysée in Lausanne. Zelenkova has published three monographs, in which images are accompanied by her own writings. 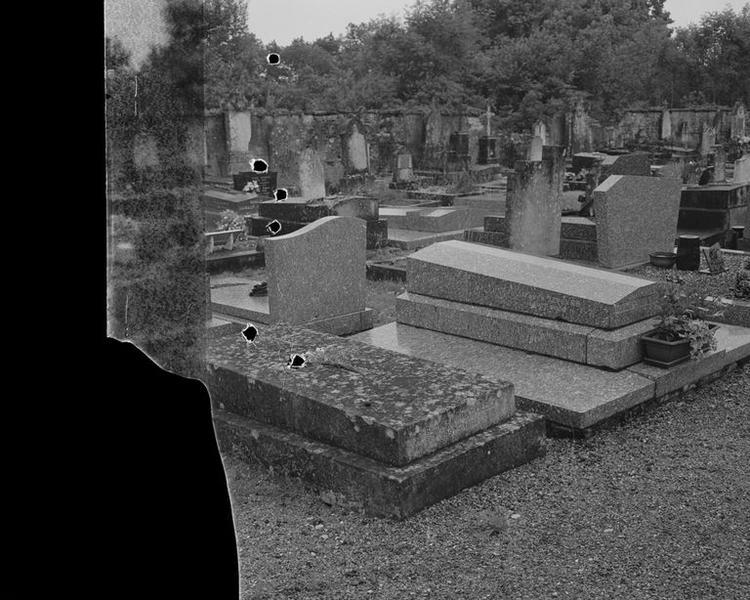 Black and white photograph of Georges Bataille’s Grave at Vèzelay Cemetary. 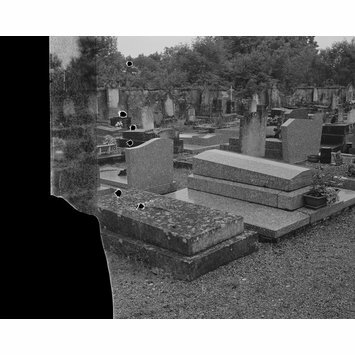 On the left hand side of the photograph is a black void. 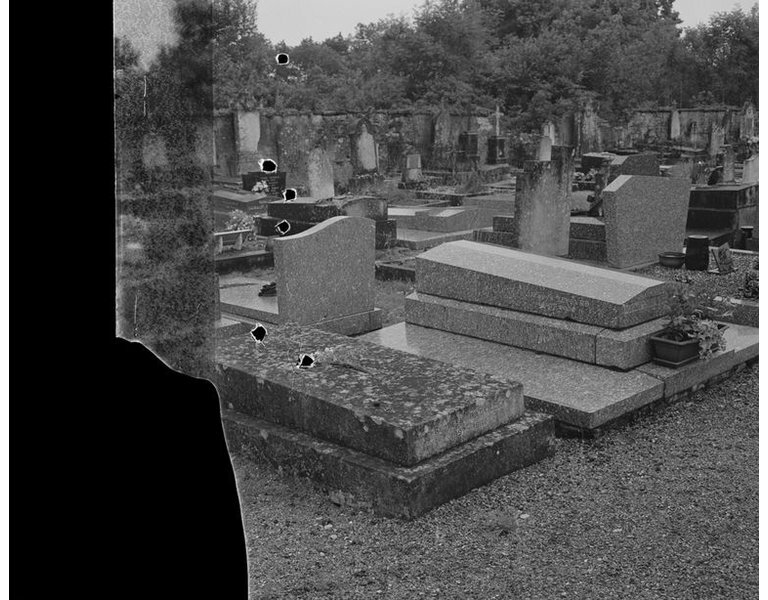 Georges Bataille's unpolished, stone grave can then be seen, behind which are several rows of graves. In the background of the photograph is a stone wall, trees and sky in the top third of the photograph. Photograph by Tereza Zelenkova, 'Georges Bataille’s Grave, Vèzelay', 2013. Gelatin Silver Print, 23 x 29cm, edition of 5.